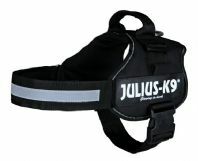 Since we stumbled across Julius K9 Harnesses over 4 years ago it has been an amazing venture for us. 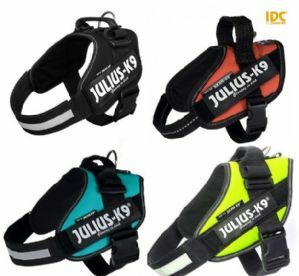 The Julius-K9 IDC (Innova Dog Comfort) is a quality strong harness, built to last. Suitable for working and active dogs the popular IDC Dog Harness is preferred by some over the standard powerharness. It is particularly better for some type of breeds like bull dogs or dogs that have a very small chest. 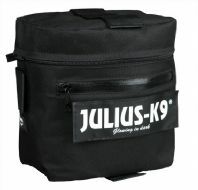 The quality of the Julius K9 IDC power harness is second to none, you have the ability to interchange the velcro stickers, add backpacks and other Julius dog accessories. An ergonomically designed harness that distributes pulling force through the dog’s chest and ribcage, instead of putting pressure on the neck. Whilst other harnesses often cause an uneven pull on your dog’s neck, the Julius K9 IDC Power Harness rests on the dog’s chest and distributes forces evenly. 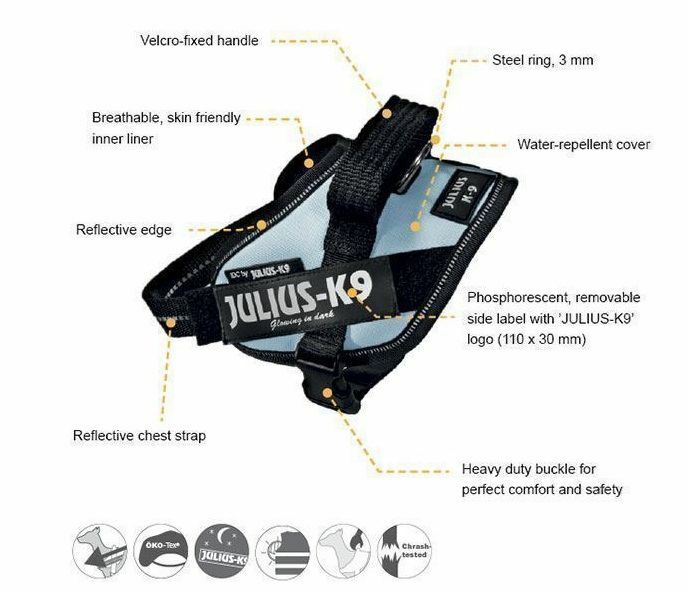 Julius-K9 High quality dog harness, suitable for home use as well as for working dogs or service dogs.